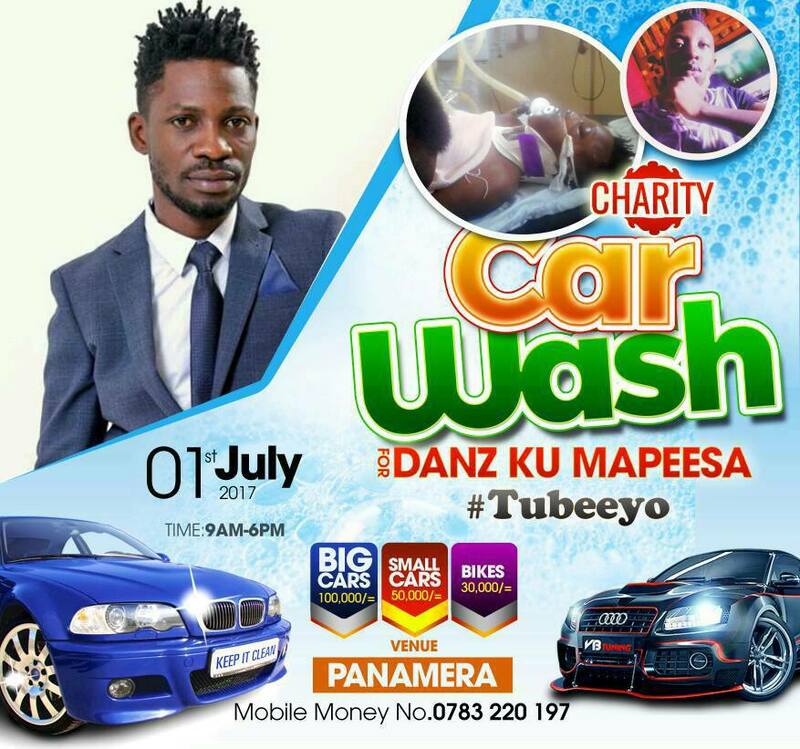 Celebrities play a very big role in hyping up any upcoming event and their presence has a very big impact although they also get something in return especially the musicians and politicians. 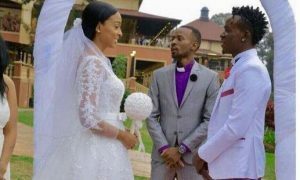 Close to three weeks ago, unknown people attacked Jahlive’s producer Danz Kumapeesa and beat him near to death and since then, the youngster has been admitted at Nsambya Hospital at the intensive care unit in critical condition. 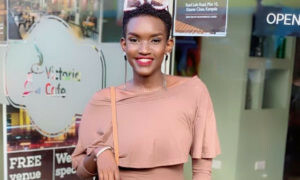 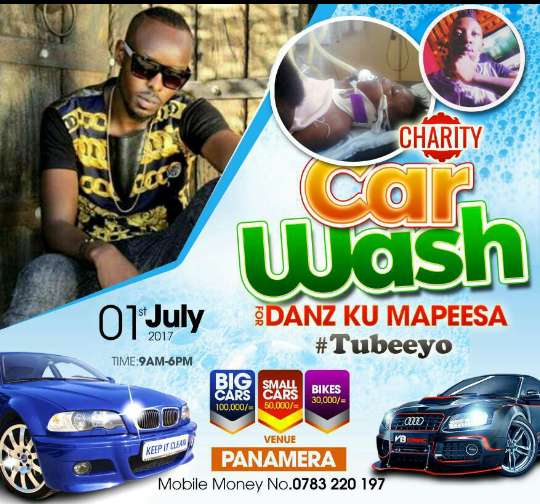 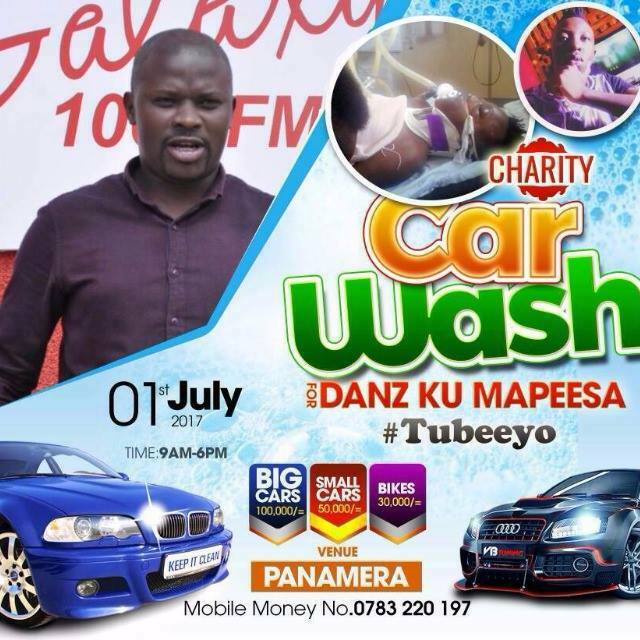 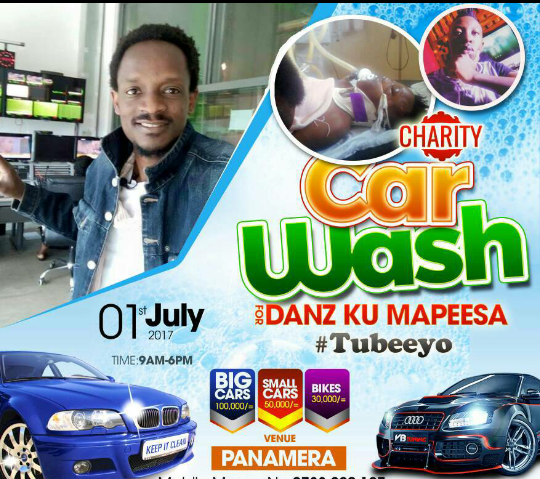 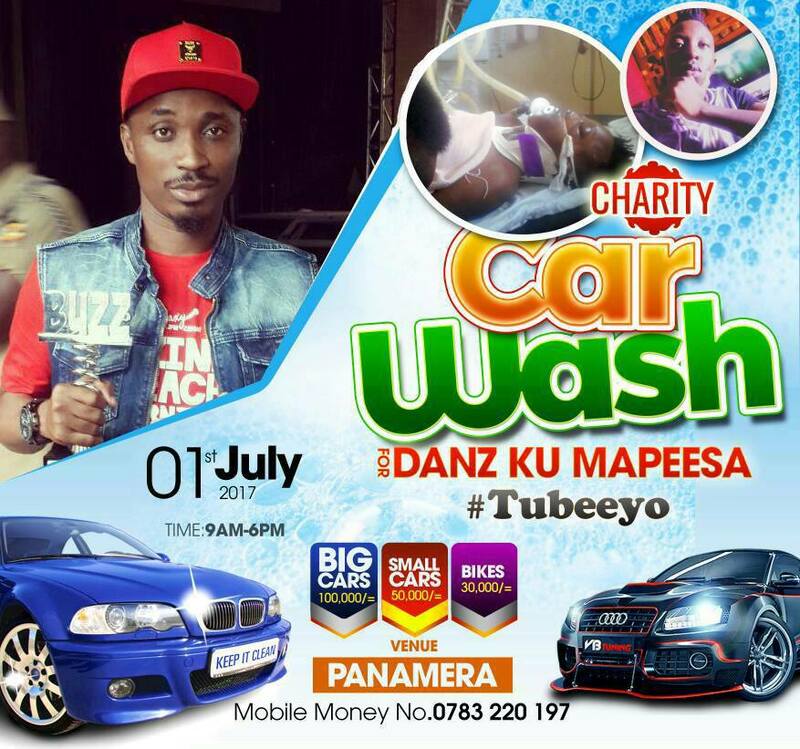 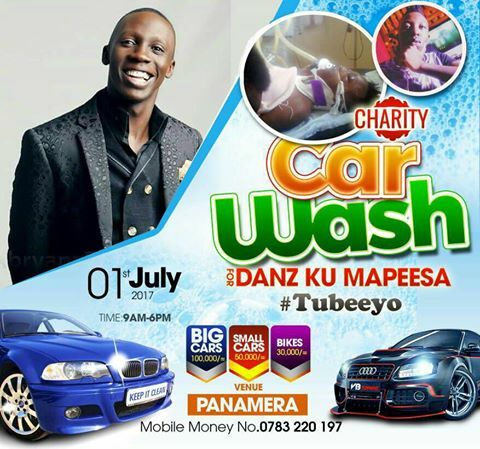 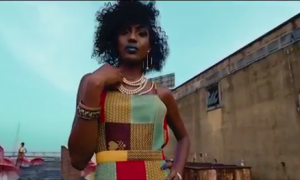 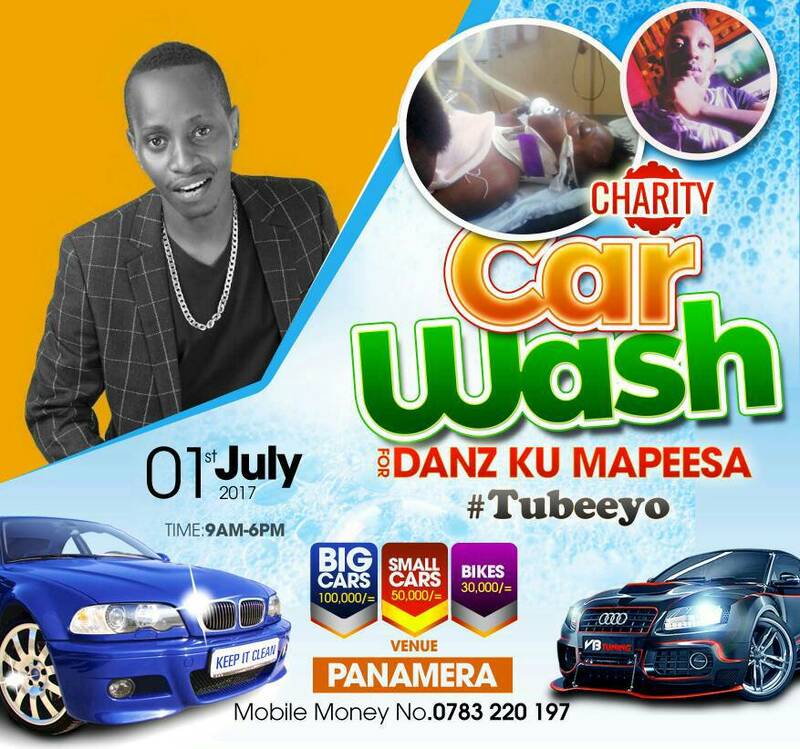 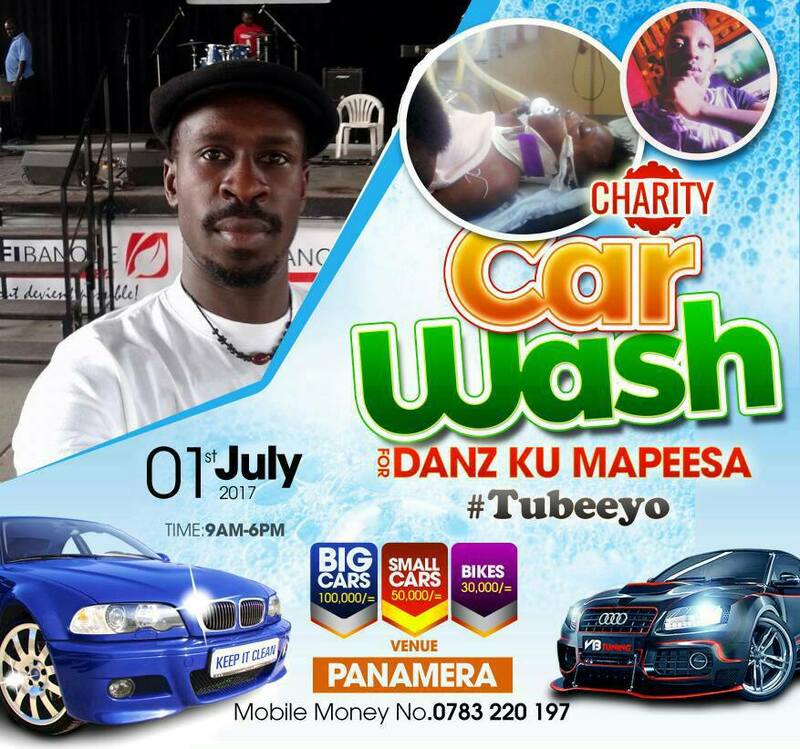 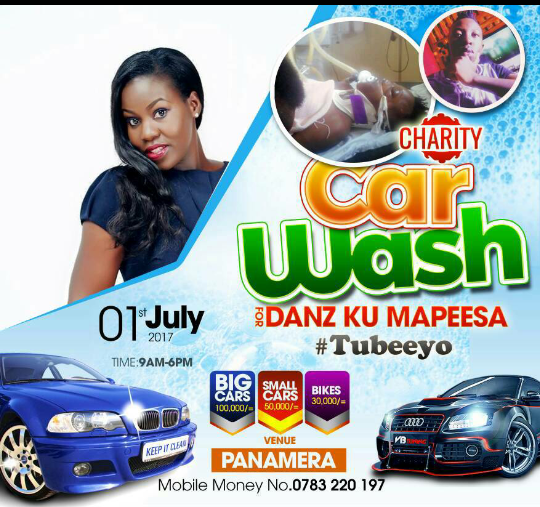 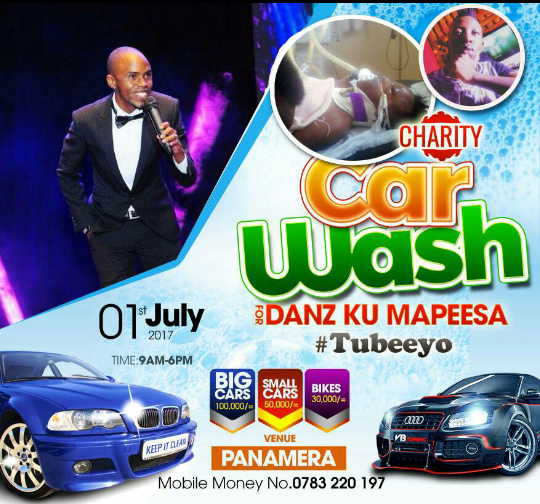 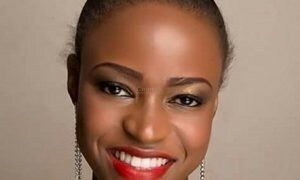 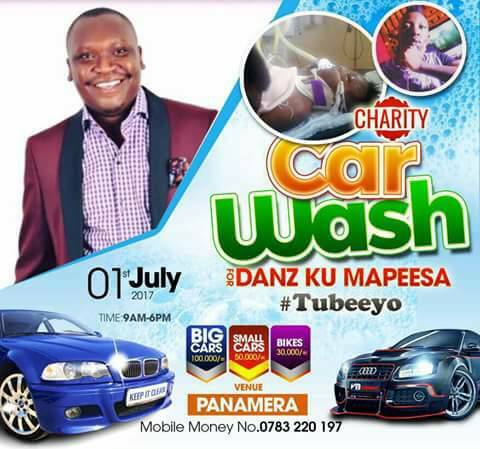 From the time the car wash drive was announced, celebrities, politicians and artistes have taken to social media posting the ‘I will be there’ photos against the Danz Kumapeesa’s charity car wash art work to promote it. 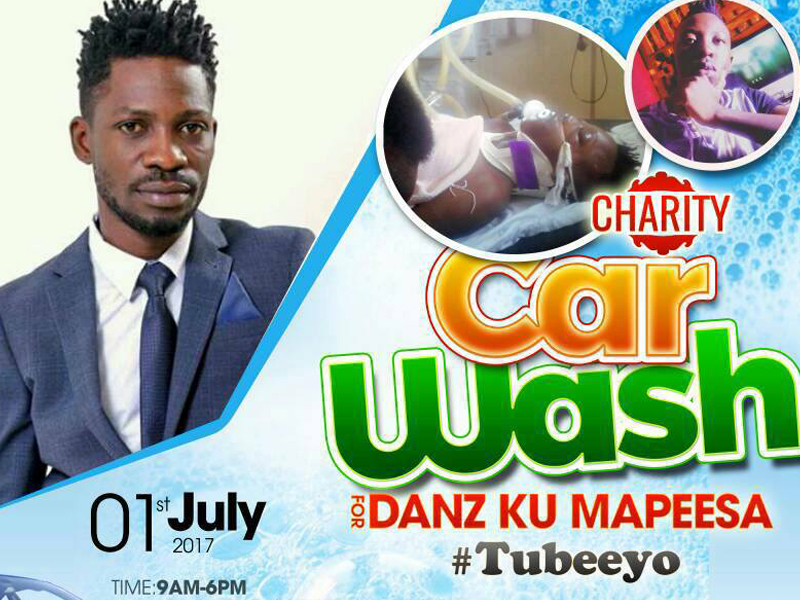 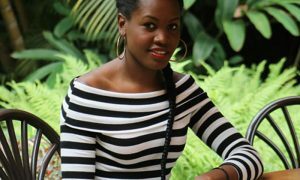 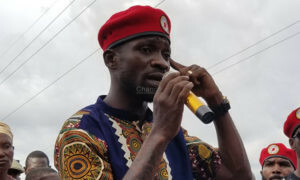 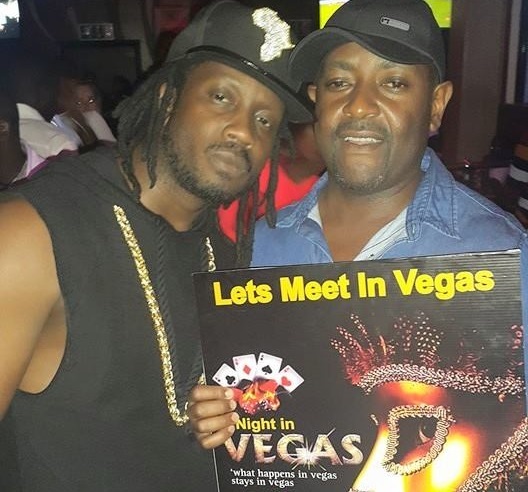 Andrew Kyamagero the organiser told Chano8 that this act is so humbling and called more people to come through. 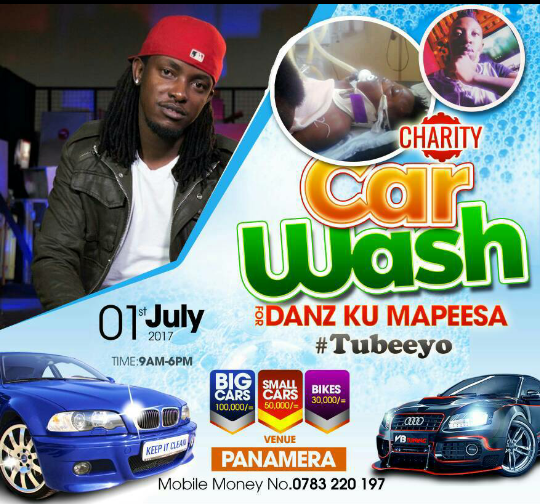 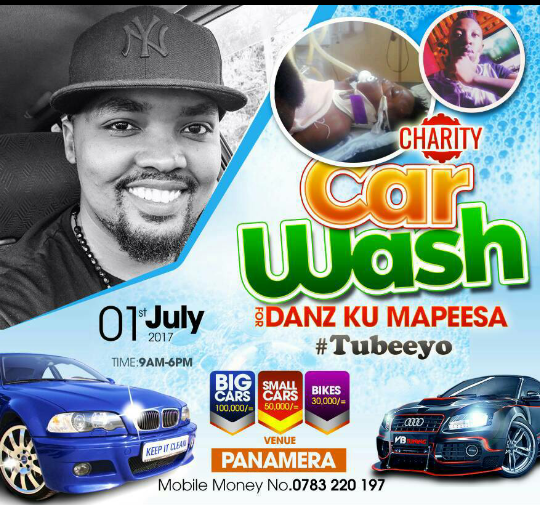 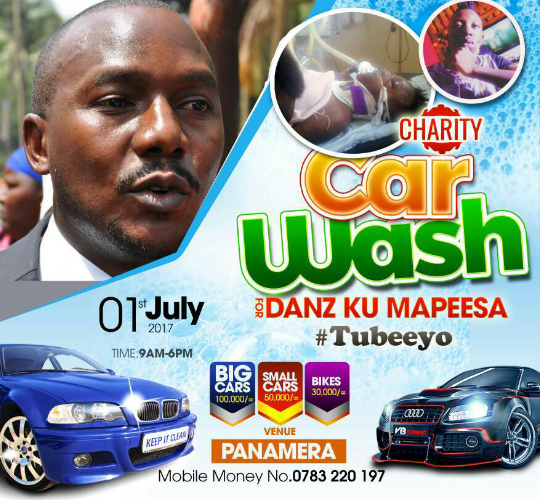 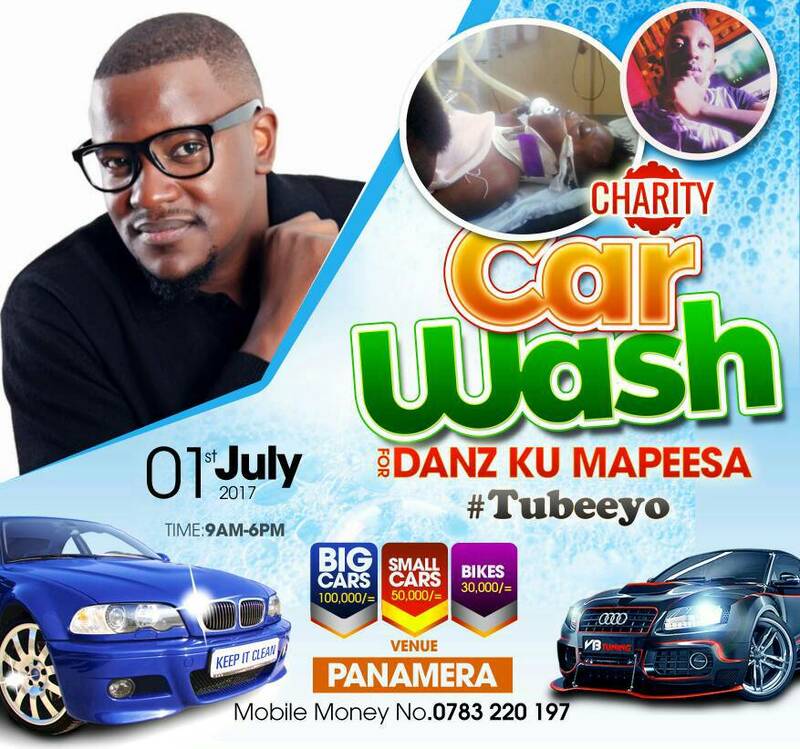 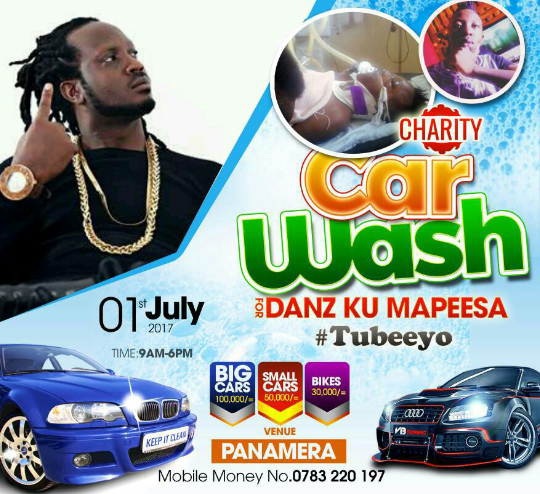 Come Saturday the 1st of July, all roads lead to Panamera Bar where this wash is going to take place and heavy vehicles will be washed for only Ug Shs 100,000, small cars at 50,000 and motorbikes at 30,000.